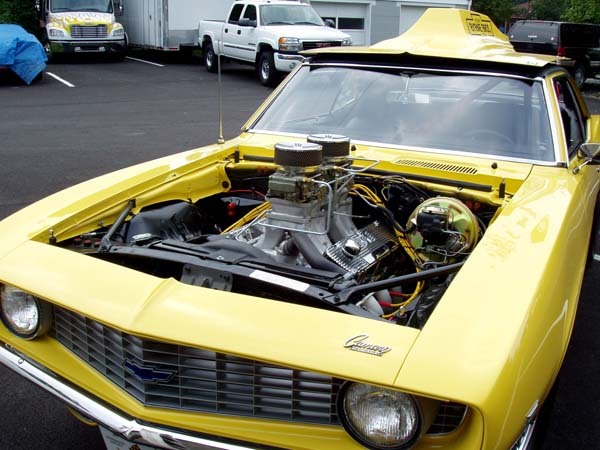 <font color="#000000"> Caleb and Frank Arones 1969 COPO 427 Bryne Brothers Camaro was right in thier own garage, but they had little intentioin to restore it. Frank had just finished his LeMans blue COPO Camaro and was looking for a project for his son Caleb. 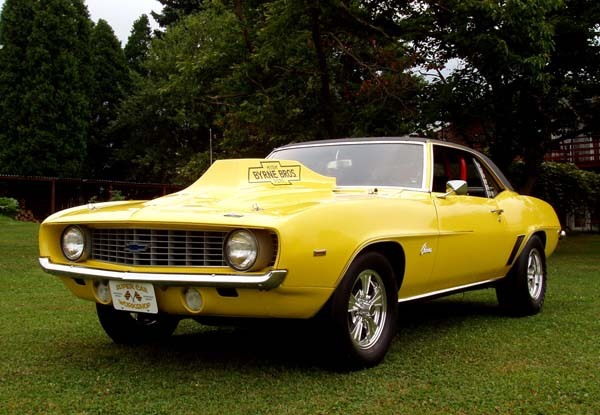 Frank had just picked up a Yenko Camaro that need a total restoration. 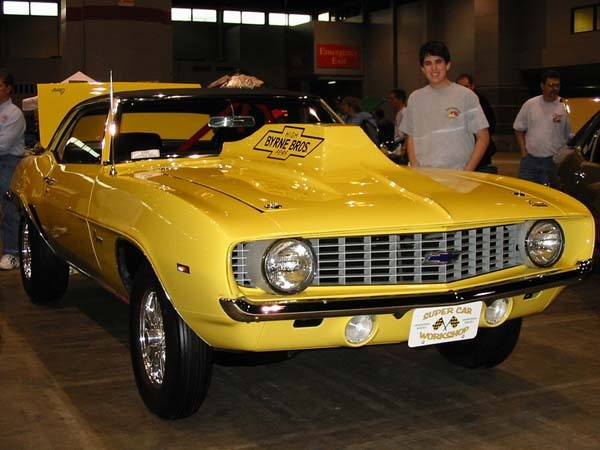 Brian Potter a long time Yenko fan really wanted a Yenko bad, and Hugger orange was his favorite color, just the car Frank had purchased. 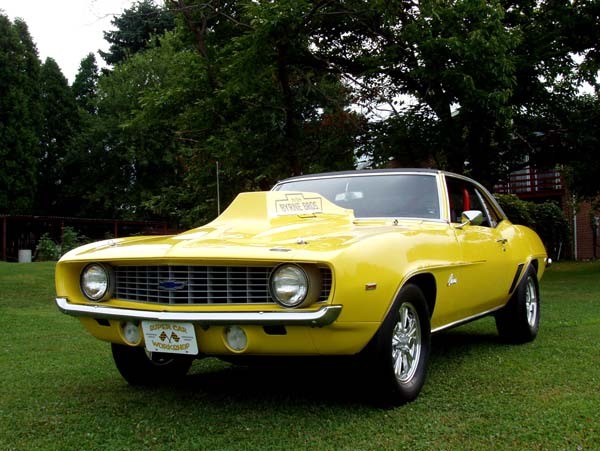 Brian had a Daytona Yellow Brynes Brother COPO he was thinking about restoring, but held off looking and hoping for a Yenko. 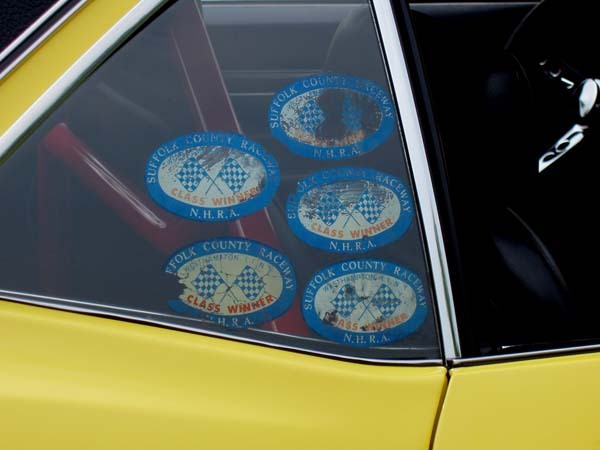 When Brian found out about Franks Yenko, a trip to Homer City ended with a deal being struck for the Yenko. 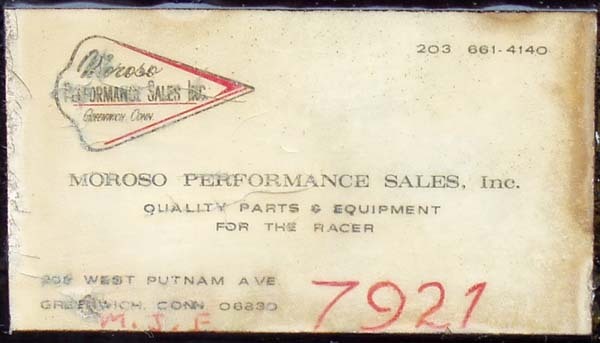 The Byrnes Brother COPO was part of the deal. The Brynes Brothers car had been raced from new and had only 3900 miles showing on the car. To be kind, the car looked ragged to the casual observer. Gray primer and mix and match wheels only gave the car a more lack luster look. Frank gave me a call to look at the car and see what I thought of it. I was amazed at the condition of the car. Take away the nasty primer and red spray painted letters on the car, it was a solid project. The car was raced since new, and I thought that it might be cool if it was restored in a true Day 2 fashion using real vintage parts from the era. Frank and Caleb both agreed and the project took on a life of its own. Since Frank had just completed a very correct COPO, a Day 2 style car was a different departure, yet no less easy to complete. Caleb insisted on real speed parts, not your modern day Summit Catalog parts. 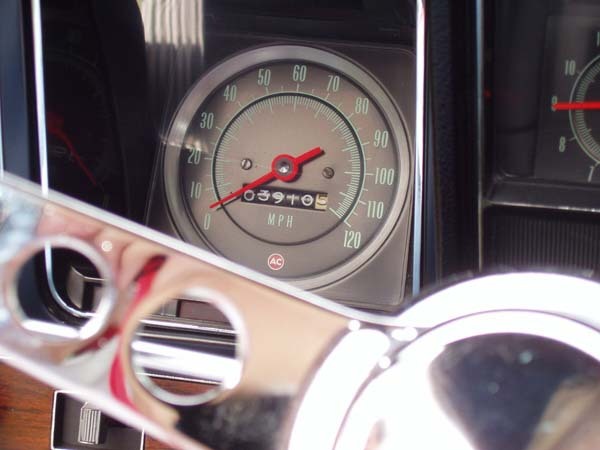 The search was on for vintage speed parts to complement the car. 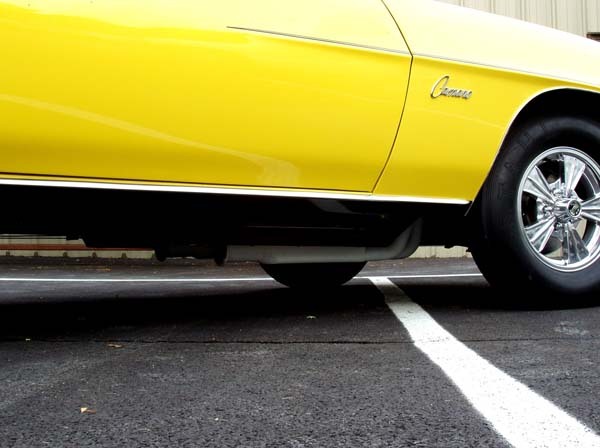 Parts trickled in from all over the country, but the end result was a car that has the look and feel of a vintage Super Stocker. WOW..What a ride! Caleb and his COPO are both first class in my book. Congrats on one sweet ride! 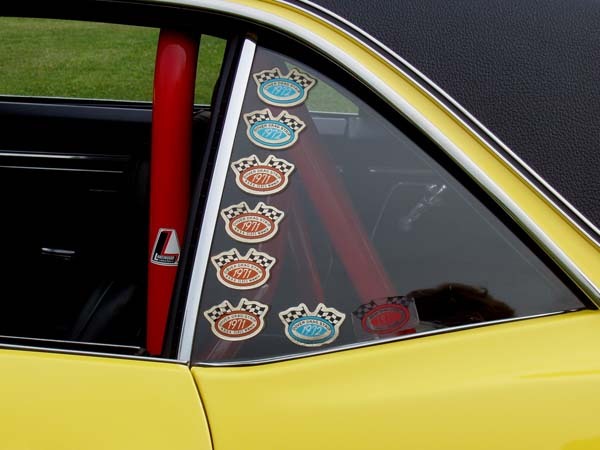 Love those window decals too...you guys are sick...can't believe you actually put the xray and inspection stamps on those slicks ! Very cool car...I love it! Hey Bob/Rob, Where's the write up? Write up is blank for me as well or is it the opening pic abot the cars stats!! 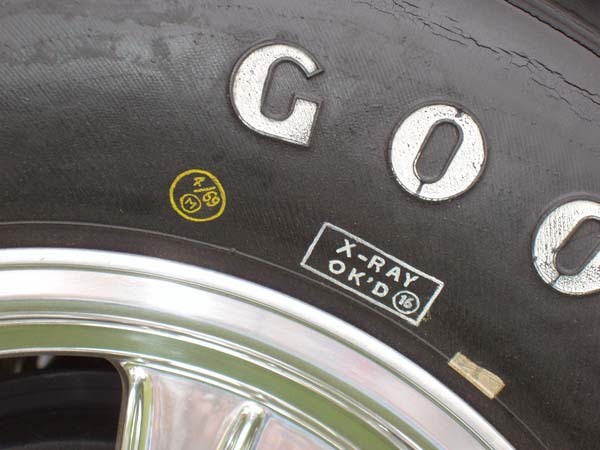 you guys are sick...can't believe you actually put the xray and inspection stamps on those slicks ! If I remember correctly. Frank said that that is how he found those tires. Excellent job Caleb. Sign in and tell us about it! VERY friggin cool car and a cool gifted kid as well! Frank did a great job raising him as a gentleman.